As you all know it, Jamie has a big heart and is very generous. 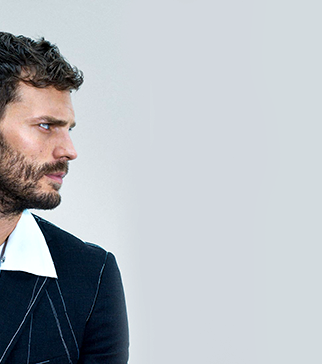 This page contains all the charities that Jamie supports, or, in which he already contributed. Feel free to follow his example and make a donation to one or more of these charities. Thank you for them, and thank you to Jamie for this demonstration of kindness. The charity Tiny Life is dedicated to reducing premature birth, illness, disability and death in babies and provides a wide range of support services to families of premature and vulnerable babies. 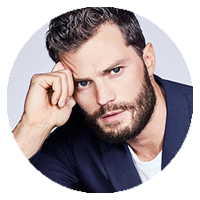 The named Dornan has long been associated with the charity through his father, Professor James Dornan, a founding member who still sits on the board of directors. Jamie is now a patron of the charity. The charity Pancreatic Cancer UK is dedicated to fighting pancreatic cancer through support, information, research and campaigning. They want improved survival and quality of life for everyone living with pancreatic cancer and improve early diagnosis and treatments. They are committed to raising awareness of pancreatic cancer, providing a powerful voice for everyone who has been affected by the disease. A very important cause to Jamie whose mother, Lorna, passed away from inoperable pancreatic cancer when he was just 16. The charity Heartbeat NI aims to provide emotional and practical support to families who have children with heart conditions, and to raise awareness of congenital and acquired heart disease in children. Over 200 babies are born with a heart problem each year in Northern Ireland and one third of these children are sufficiently ill to require investigation and/ or surgery. Fintan was playing rugby when he collapsed with a suspected hernia. Tragically the diagnosis was cancer. Fintan has battled heroically over the last 15 months with the help of the NHS. Unfortunately treatment has not been successful. He and his family found out about a new treatment in Frankfurt, Germany. This treatment involves conventional cancer treatment alongside natural methods, particularly innovative hyperthermia. However this treatment is very expensive, hence the reason for this page/charity. Make a donation and help Fintan in his fight. The charity also organizes events in Belfast to raise money. Unite Against Cancer SC043017 is a new Scottish registered cancer charity that was set up in 2012 to fund research into new cancer treatments. Unite Against Cancer have outlined the following activities which will be undertaken to help us reach our objective: Helping raise money / Working in partnership with others / To raise awareness. Unite Against Cancer will be organising various events to help raise money for the continuous funding of the above activities. We aim to encourage mass support nationwide so we can help make a difference. Fight on for Annie was set up in memory of Anne O’Neill who lost her battle to pancreatic cancer on the 30th January 2014, aged 54. Anne was the beloved wife of Tom and mum of three children, Sinéad, Fergal and Gráinne. They want to help prevent other families from having to experience this horrible disease and heartbreaking statistics. They want the survival rates to give people hope, not to fill them with fear and remove all hope for their loved ones who have pancreatic cancer. This is why they have founded ‘Fight on for Annie’.